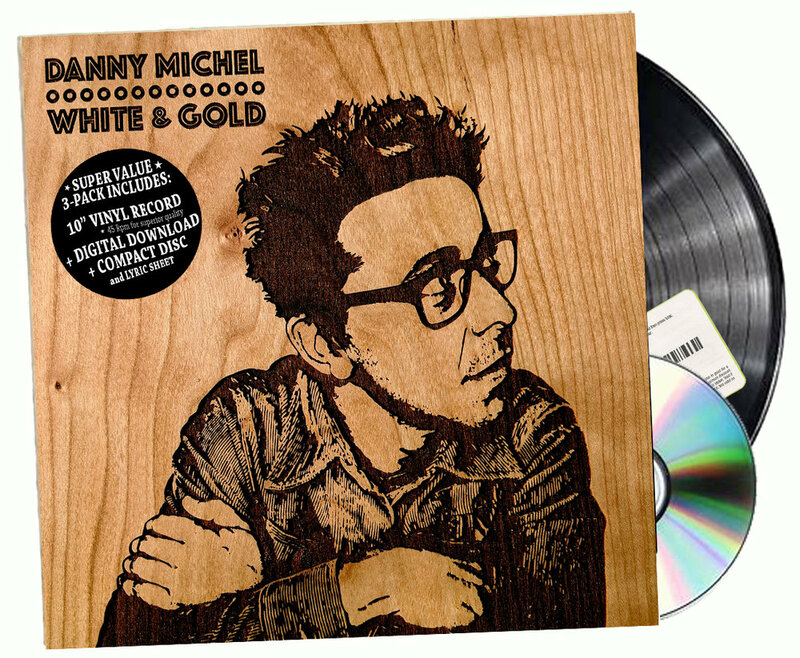 With only a few songs yet to be released from his upcoming ‘one-song-at-a-time’ LP, White & Gold, Danny Michel is now taking a complete left turn with the song and video for “Back Where You Started”. While White & Gold already features the 50s ‘Doo-Wop’ inspired “The Red Fox” and the dreamy, fuzzed out “Purgatory Cove”, for album cut “Back Where You Started”, Danny reminds us that he’s still got some rock in his blood. In an ever-changing, crazy world maybe we need a little more crazy to stay sane. Danny delivers just that in “Back Where You Started” but, as always, wrapped in a sweet sentiment (even with an F-bomb). This song is for anyone in the middle of some type of life transition, and reminds that you’re not alone. Written in 5/4 time with Danny playing all of the instruments, the video for “Back Where You Started” is something ‘completely different’, with Danny fusing his love for Monty Python with the new green screen in his garage. White & Gold will be out on October 12 on all streaming platforms, on CD and 10” vinyl, and accompanied by a wonderful wood carved cover created by artist Brian Bosch. Thus far, Danny has released four tracks from the album; “Born In The Wild”, a song for the brave kids of the #neveragain and #marchforourlives movement; the 50s ‘Doo-Wop’ inspired “The Red Fox”; the dreamy, fuzzed out “Purgatory Cove”; and “Nobody Rules You”, a stripped down back-to-school version of an old song, inspired by the school kids who’ve been covering it over the years.